Free opening reception, 6:30-8:30pm Thursday, February 28. The exhibit is on display through April 19. The Stifel Fine Arts Center is open 9am-5pm Monday through Friday and 10am-4pm Saturday. Admission is free. Sponsored by The Health Plan, WVU Medicine and United Bank with additional support provided by the Home Support Foundation. 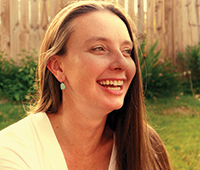 Award-winning creative writer and West Virginia University assistant professor, Renée K. Nicholson has dramatically changed the face of healthcare in West Virginia through her work with Narrative Medicine. Narrative Medicine is a medical approach that utilizes patients’ individual life stories to improve treatment experiences. The approach allows doctors to enhance care, beyond managing symptoms and facilitates patients’ abilities to cope with the illness. Her work writing with terminal patients not only produced therapeutic benefits but also reduced physical pain in patients. In 2016, Nicholson received grant funding to launch the first Narrative Medicine research project ever conducted with rural cancer patients and the first of its kind in Appalachia. One of the patients Nicholson worked with was Wheeling native Lacie Wallace. 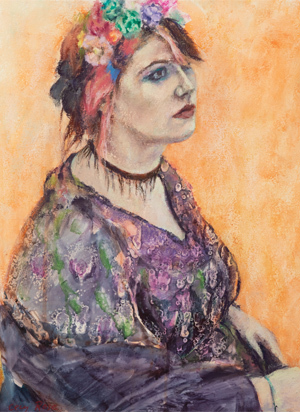 Wallace modeled for a figure drawing group, led by artist Cecy Rose, at the Stifel Fine Arts Center. She modeled prior to and through her battle with cancer until she was no longer physically able to do so. The Art of Healing features a collection of drawings and paintings of Wallace created by figure study artists. Photographer Angelo Merendino and his wife Jennifer married in 2007. Five months later Jennifer was diagnosed with breast cancer at the age of 36. During the next four years she endured a double mastectomy, chemotherapy, radiation, and reconstructive surgery. Jennifer died in 2011. 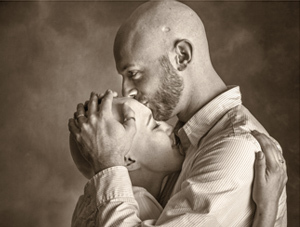 Merendino chronicled their story in the photo-documentary “The Battle We Didn’t Choose – My Wife’s Fight With Breast Cancer,” which has received worldwide recognition. 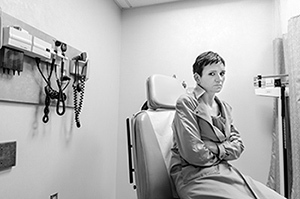 Intimate, honest and moving, his photographs offer viewers a look inside the day-to-day life of a young couple facing breast cancer together. Merendino has been featured in The New York Times and USA Today along with various online news outlets. His photographs have been exhibited in New York City, Washington D.C. and Rome, Italy. The Bodice Project is a traveling not-for-profit sculptural exhibition that promotes emotional healing through the arts for those facing the challenge of breast cancer and life after treatment. 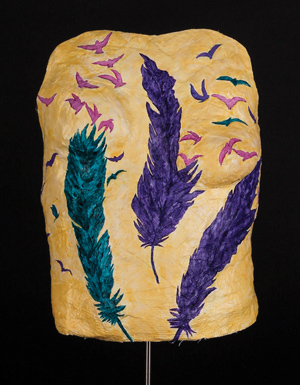 Created by a group of Mid-Atlantic artists, the Bodice Project features torso sculptures, some of actual individuals who have undergone mastectomies or reconstructive surgery in connection with breast cancer treatment. These uplifting and sensitive works evoke a range of emotion, from empathy to solace, forging bonds between artists, breast cancer survivors, patients and the public. Founded in 2001 by the parents of a child with cancer, Flashes of Hope raises funds to accelerate a cure for children’s cancer while honoring the unique life of every child. 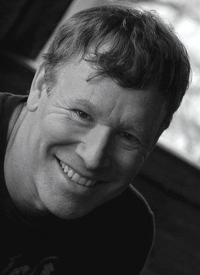 Part of a nationwide collaboration of photographers, Cleveland-based Keith Berr has been shooting for the organization for a number of years. Through the gift of photography, his photos aim to help children feel better about their changing appearances by celebrating them while connecting viewers to the lives of individual children. Since its founding in 2001, Flashes of Hope has photographed 73,794 children at hospitals and camps across the United States. With chapters in 55 cities, FOH photographs more than 50% of children diagnosed with cancer annually in the United States. After her father died in 2001 from cancer, Angela Canada Hopkins decided the best way to overcome her new “enemy” was by embracing it through art. She initially painted the disease by deconstructing microscope slides of cancer cells and reinterpreting them. 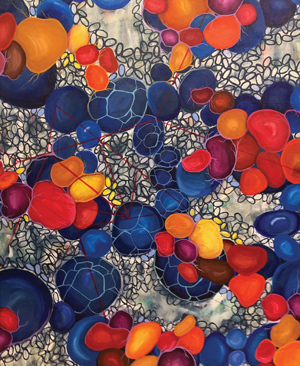 Her work progressed to an abstract style of triumphant colors and bold brush strokes that reference the general characteristics of cancer cells. 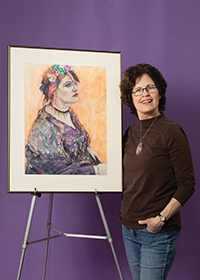 Her unique combination of science and art has garnered attention as the scientific community is finding her artwork a perfect complement to workspaces, symposiums and conferences as well as cover art for medical journals. 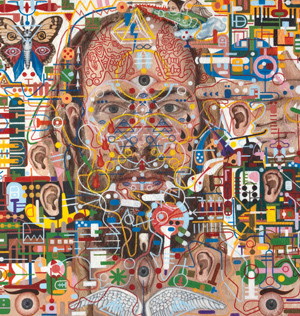 During his time at art school, painter Shawn Thornton unknowingly developed cancer of the pineal gland. Curiously, as his condition progressed and without him knowing of its existence, his art transformed into complex scenes that many find reminiscent to dimethyltryptamine (DMT) experiences – often alluding to the mythology, symbolism or biology surrounding the pineal gland. His paintings became a kind of visual diary, depicting the elements he saw. Because of his experiences, Thornton is more drawn to things, consciously and subconsciously, that resonate with a certain powerful energy. 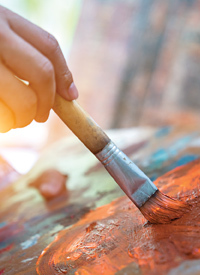 Join us for a series of learning and community-building events held at Oglebay Institute’s Stifel Fine Arts Center in conjunction with “The Art of Healing” exhibit. Programs explore using art in the healing process and provide resources and social support for those affected by cancer. Special guests include artists featured in “The Art of Healing,” oncology experts, social workers, art therapists and cancer patients and their families. Programs take place at 6pm every Thursday from March 7 through April 11 and are free and open to the public. Light refreshments will be served. Pre-registration is recommended. Space is limited. Call 304-242-7700. 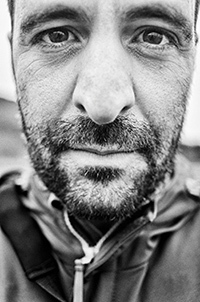 Photographer Angelo Merendino will discuss his photo-documentary, “The Battle We Didn’t Choose – My Wife’s Fight with Breast Cancer.” Intimate, honest and moving, Merendino’s photographs offer a look inside the day-to-day life of a young couple facing breast cancer together. Register online or call 304-242-7700. 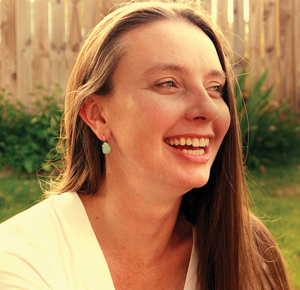 Creative writer Renée K. Nicholson will discuss her work with Narrative Medicine – a medical approach that utilizes patients’ individual life stories to improve treatment experiences. Nicholson will also share her experience working with Wheeling native and Stifel Fine Arts Center figure drawing model Lacie Wallace. 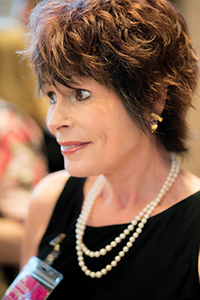 A panel of art therapists will discuss the healing benefits of using art to cope with illness, such as expressing emotions that are difficult to verbalize, providing an escape from treatment anxiety and fears of the future, alleviating pain and discomfort, relieving depression and feelings of isolation and adjusting to a changing body image. 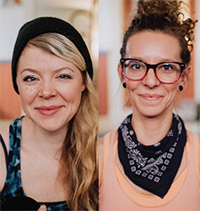 Join Chelsey Keding and Lindsay Schooler (E-RYT) for a session of great therapeutic value that combines soothing musical and energy medicine with movements and introspective visualization. All levels are welcome. Get an in-depth look at “The Bodice Project” from the artists who created this uplifting and sensitive sculptural exhibit. Breast cancer survivors will join the artists for a panel discussion about emotional healing and life after treatment. Presented by the Independent Artist Group, the auction will feature pieces done of Lacie Wallace during modeling sessions over an eight-year period and throughout her battle with colon cancer. Proceeds will benefit the education funds of Lacie’s two daughters.